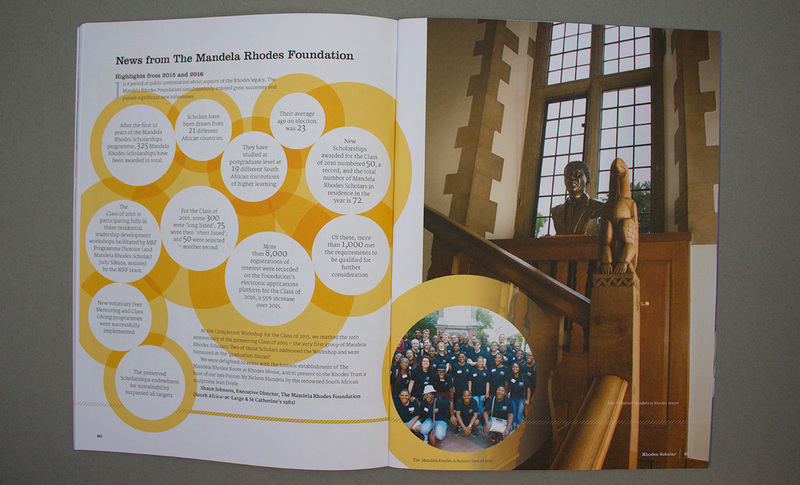 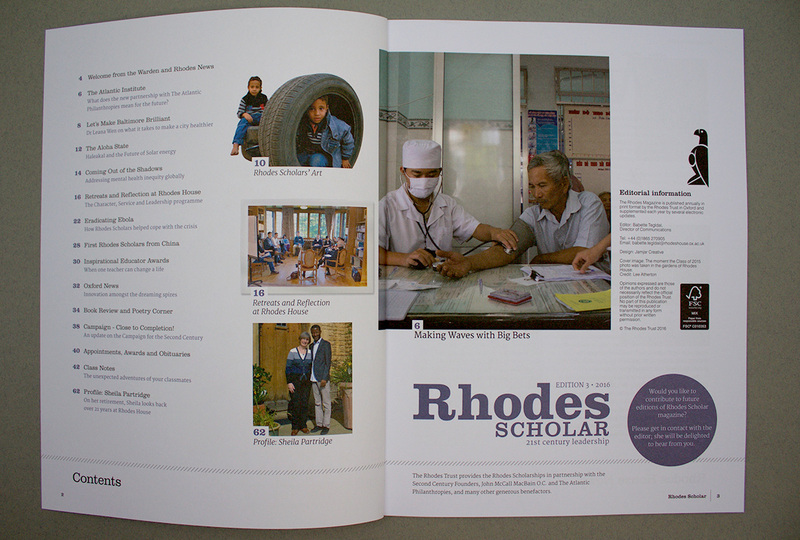 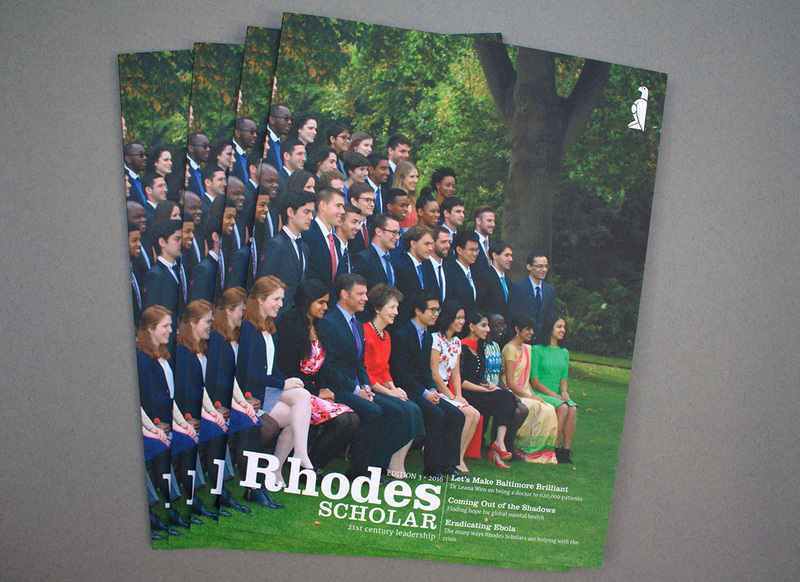 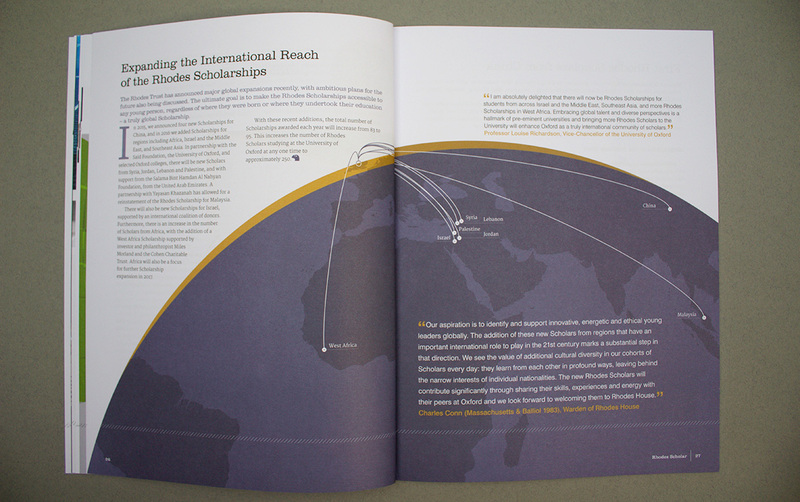 In this 2016 edition of Rhodes Scholar, we highlighted: the development of the Scholarships with their new partnership with The Atlantic Philanthropies; the work of Scholars across the world in the medical and health sectors; recognising inspirational educators nominated by current Scholars; the growing global reach of the Schorships with new regions and nations, to name a few. 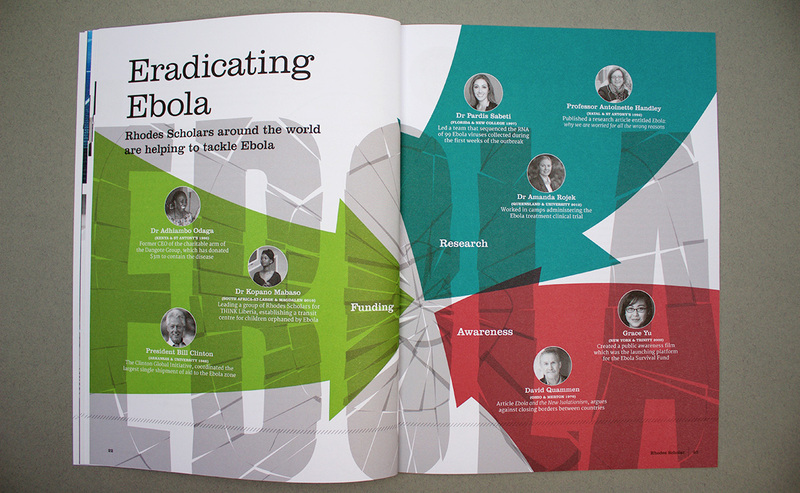 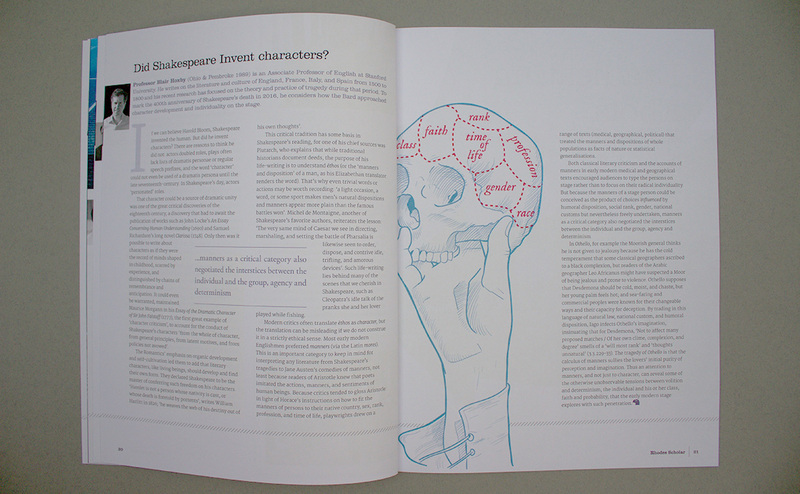 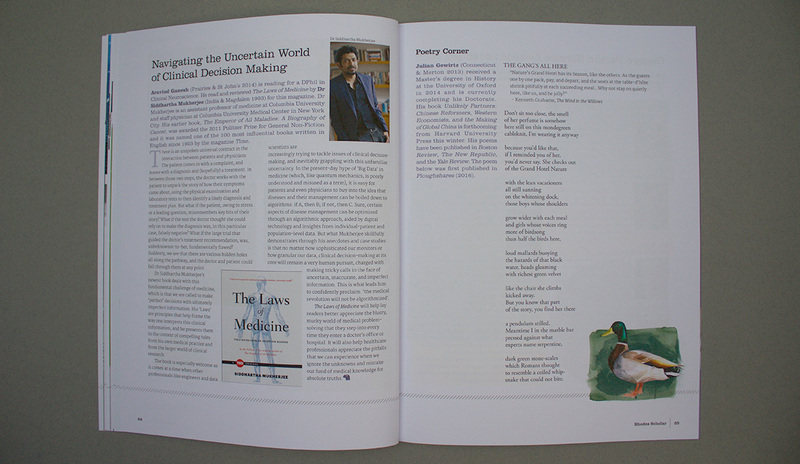 We used the design established with the first issue as the backdrop for new layout interpretations plus illustrations and graphics for articles including a drawing for a piece which discusses if Shakespeare invented characters, a graphic to visually reflect the impactful work of Scholars in the fight to eradicate Ebola, a 'photo album' pictorial of a look back on the year, a world graphic to show the international expansion of the Scholarships... and a mallard. 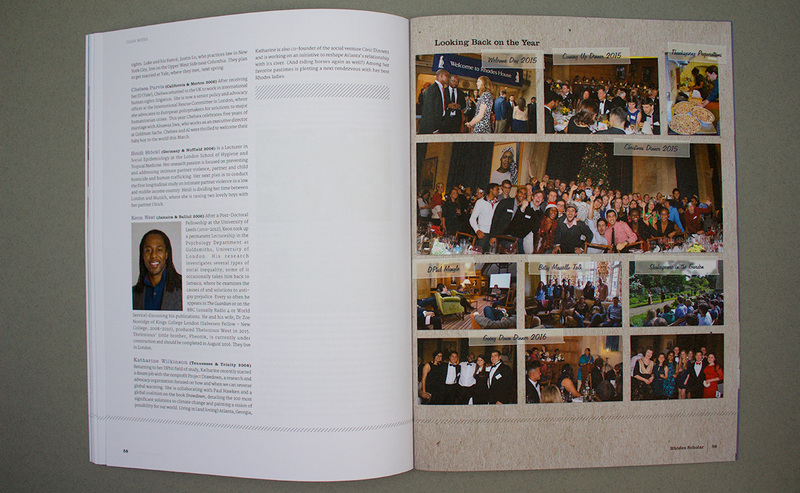 The magazine was perfect bound, with uncoated stock and a matt laminate to the outer cover.